There are 4 figures in the nest. The dolls are made in very unusual shapes. 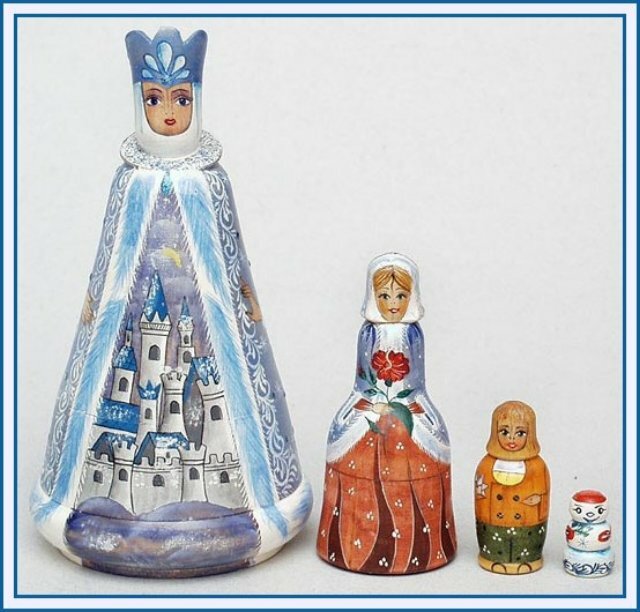 The tallest doll is 5", the smallest - 3/4".